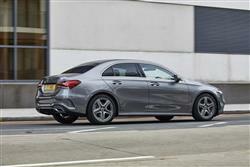 Mercedes wants its A-Class to meet a wide cross-section of customer needs. 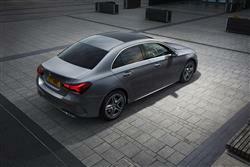 That's why as part of this fourth generation model line-up, the company has brought us this Saloon body style. To compensate for the lack of a hatch, you get a little extra rear seat room and a big 420-litre boot. And arguably, a little extra style. You'd have thought that the market for really compact premium brand saloons might be a little bigger than it is. Normal 'D'-segment premium brand four-door models like the BMW 3 Series, the Audi A4 and the Mercedes C-Class have, after all, become fairly expensive in recent times, with prices starting at well over £30,000. Think £35,000 in fact, to get what you probably want. If in contrast, you could get much the same thing for around £28,000 fully kitted-out, that'd have to be an interesting proposition for middle managers. Wouldn't it? Audi thought so, launching its A3 saloon in 2015. 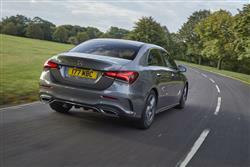 But BMW didn't respond at all and Mercedes fielded only its CLA four-door Coupe - which wasn't quite the same thing. 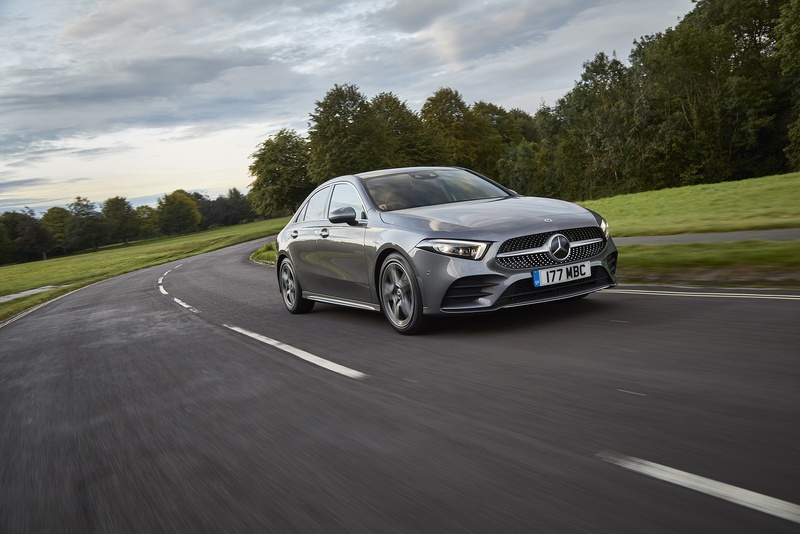 Now though, Mercedes has done the job properly, taking the opportunity represented by the introduction of the fourth generation A-Class range to bring us a proper notchback four-door A-Class Saloon. Let's check it out. 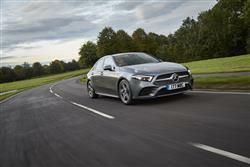 The A-Class Saloon range is based around two key engines, with others scheduled for the future. 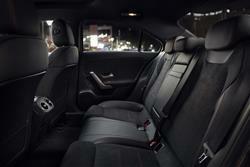 Both are front-driven and use only the brand's 7G-DCT dual-clutch auto transmission. The entry-level A200 variant is likely to be most popular featuring a 1.4-litre 163hp unit. The diesel alternative is the A180d, which puts out 116hp. What else do you need to know? Well the suspension is the usual torsion beam rear set-up. The 'DYNAMIC SELECT' driving modes system is standard, as usual enabling you to tweak steering feel and throttle response. At extra cost, adjustable damping can be added into it. 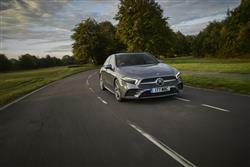 Some of the autonomous driving capability from larger Mercedes models has been built into this one, meaning that, in certain situations, your A-Class, if appropriately equipped, will effectively be able to drive itself on dual carriageways at cruising speeds. This Saloon A-Class model is 130mm longer than its hatch stablemate, but sits on the same wheelbase. The long wheelbase version of this four-door is limited to the Chinese market. The standard wheelbase model for Europe gets a modular two-part rear bumper and what Mercedes calls a 'muscular and sensual' shoulder line. Inside up-front, it is of course exactly the same as in an A-Class hatch. The usual instrument binnacle cowl has been completely dispensed with, so the wing-shaped main body of the dashboard can extend from one front door to the other with no visual discontinuity. A virtual instrument screen (of either 7-inches or 10.25-inches in size) replaces the usual dials and can be joined with a centre-dash infotainment display (again either 7-inches or 10.25-inches in size) to create one continuous monitor, much as you get in larger Mercedes models. 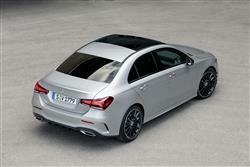 Obviously, this saloon variant differs from the hatch versions more in the rear. The roofline isn't so swept back as to limit headroom, while the wide-opening doors allow easy access. Mercedes claims there's class-leading headroom in the back. It'll still be tight for three adults though. The boot, which offers 420-litres of space, is 50-litres bigger than that of the hatch, though has a narrower opening. You'll pay around £1,500 more for this Saloon body style. That means a starting price of around £28,000 for either the A200 petrol model or the A180d diesel, assuming you go for base 'Sport' form; there's a £1,200 premium for more dynamic 'AMG Line' spec. 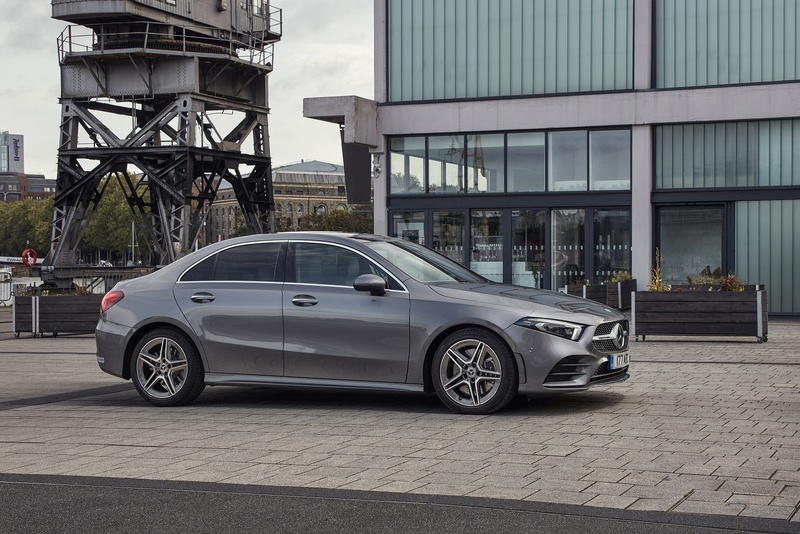 The 'Sport' models feature twin seven-inch displays including a central touchscreen with MBUX multimedia system with 'Hey Mercedes' voice activation. There's also comfort suspension, a DAB radio, 17-inch alloy wheels, 'Artico' and Fleron fabric upholstery, automatic two-zone climate control, Active Lane Keeping Assist, Speed Limit Assist and a Keyless-Go starting function. 'AMG Line' customers will benefit from 18-inch AMG alloy wheels, an AMG body styling kit, 'Artico' and Dinamica microfibre upholstery and a three-spoke sports steering wheel. This fourth generation A-Class is well connected. Navigation functions, for example, can be based on traffic feedback from so-called 'Car-to-X communication' where information gets fed in from other similarly-equipped road users. As usual, there's a dowloadable 'Mercedes Me' app that connects you into your car and can tell you things like local fuel prices or the availability of parking spaces at your destination. The economy champion of course, is the A180d variant, which exhales just 110g/km of CO2, while only drinking a gallon of fuel on the combined cycle every 68.9 miles. With respectable performance figures, it's a tempting package - albeit one that in its standard form, forgoes the big wheels and aggressive body kits of more dynamic-looking versions. If you plan on adding the extra features, then economy will obviously take a hit. As for the petrol engine, well the A200 manages 51.4mpg on the combined cycle and 121g/km of CO2. The warranty may be an industry standard 3 years but is for unlimited miles, handy to know if you spend a lot of time on the road. Just remember that the A180d diesel is the sensible option for high resale figures. With that in mind, something like a 'Sport'-spec A180d model might well represent the sweet spot of the range. 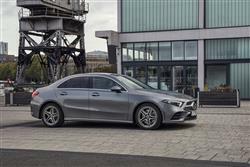 If you�re looking for a new Mercedes-Benz A-Class A200 Sport Premium 4dr Auto Petrol Saloon for sale, you�ve come to the right place. 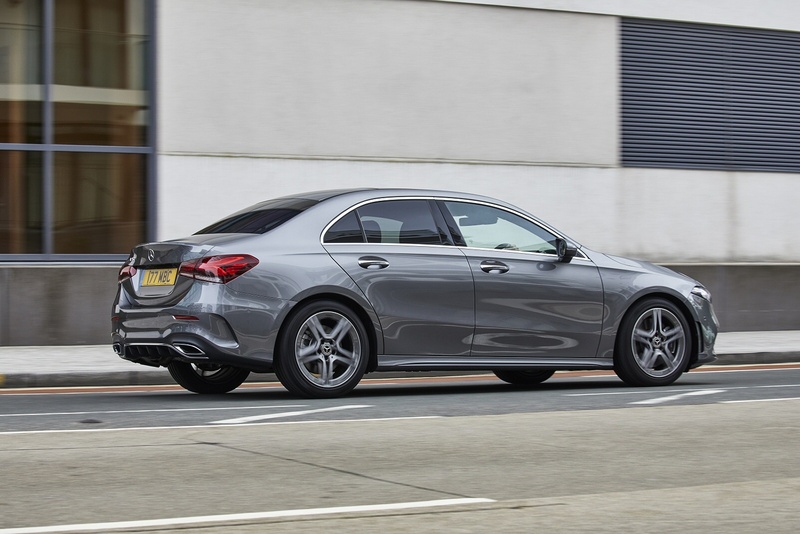 At Bristol Street Motors we don�t just have the best Mercedes-Benz A-Class A200 Sport Premium 4dr Auto Petrol Saloon deals, we also offer friendly advice and help with all your enquiries to ensure your buying experience is a happy experience.